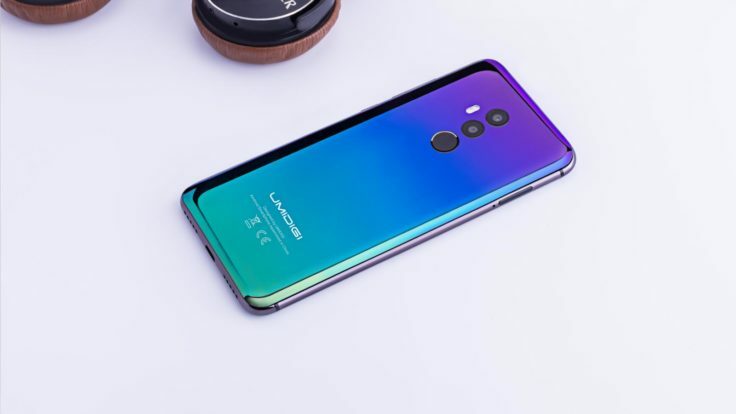 We are aware that UMIDIGI has not always delivered the desired quality in the past. 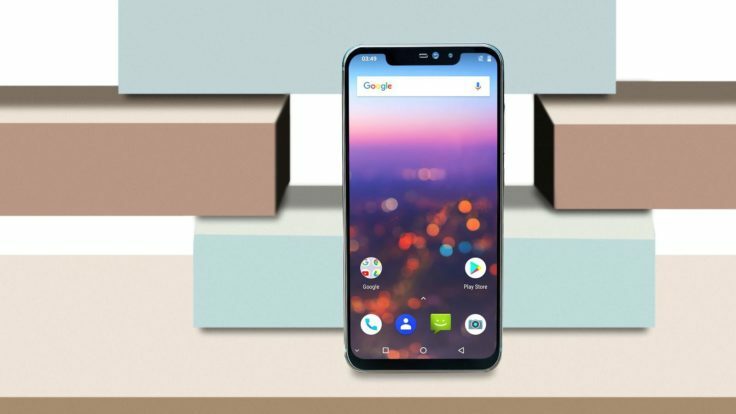 In 2018, however, the manufacturer is trying to rehabilitate itself and has already sent an interesting budget smartphone into the race: the A1 Pro. Now a new flagship is also being introduced. The UMIDIGI Z2/Z2 Pro appears in iPhone X design and receives the new Helio P60 processor. On April 18, the Global Sources Mobile Electronics fair will take place in Hong Kong, where UMIDIGI will present the Z2 and Z2 Pro. In the run-up some photos have already seen the light of day. It quickly shows that UMIDIGI also likes the notch, the cutout at the top of the screen (known from Apple’s iPhone X). We have already seen many of these smartphones at Mobile World Congress 2018 and the OnePlus 6 will also receive a Notch. 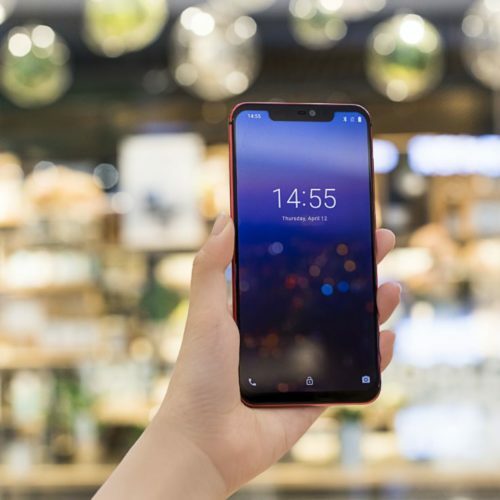 A display with a screen diagonal of 6.2 inches extends between the notch and the lower edge of the screen. The resolution is given with FHD+, so it should be 2160 x 1080 p.
They are obviously very proud of the design, and are not afraid to compare it with the iPhone X. In a new promo video, both devices – the Z2 and the iPhone – are compared directly with each other. Which one finds now more beautiful, that must decide everyone for itself. All in all, the Z2 or Z2 Pro comes across as borderless, even if you haven’t quite managed to omit the screen border at the bottom end. The back is a real eye-catcher, but honestly reminds us of Honor 10, the three color options here are Twilight, Twilight Black and Phantom. The special feature is the changing colour, which depending on the solar radiation sometimes appears green, blue or purple. Otherwise, the dual camera is on the back, followed by the fingerprint sensor. UMIDIGI relies entirely on the new CPUs from MediaTek. The A1 Pro already uses the new MediaTek Quad-Core CPU. The UMIDIGI Z2/Z2 Pro now even houses MediaTek’s brand new Helio P60 processor. Four Cortex A72 cores and four Cortex A53 cores with 2 GHz clock frequency each provide decent performance. In addition there is the ARM Mali-G72 MP3 graphics unit and a dedicated unit for AI (artificial intelligence). A counterpart to this would be the Snapdragon 660 processor, which has already convinced us in the Xiaomi Mi Note 3. Here we also find the most decisive difference between the normal and the Pro version. The UMIDIGI Z2 is based on the Helio P23 processor, which is a whole step below the P60 in terms of performance. Nevertheless, it is not bad and can shine with four Cortex A53 cores with a clock frequency of 2 GHz. The other four Cortex A53 cores with 1.5 GHz ensure energy-saving everyday operation. A memory combination of 6 GB working memory paired with 128 GB internal memory rounds off the overall package. The cheaper version requires 64 GB of internal memory, but can be expanded if required. Also the predecessor ran already with 6 GB RAM. On the back we see a dual camera, which consists of a 16 megapixel and an 8 megapixel sensor and comes from Samsung. With ƒ/2.0 Blende is unfortunately not as open as with the strong competition from Xiaomi. 4K video recordings are also possible! The same combination is theoretically used on the front, but it is a Sony sensor. There the camera also allows face unlock. Does this work better than with the UMIDIGI S2 Pro? Also with the battery we have a small difference between the two models. The weaker version gets the larger battery capacity. The 3850 mAh battery can be charged with UMIDIGI’s 18 W Fast Charge technology if required. The Z2 Pro gets a 3550 mAh battery, which also supports this Fast Charge technology. In addition, the battery can also be charged wirelessly, even with supposedly 15 W power – let’s wait and see! It is now certain that the latest flagship will be delivered with the latest software. Android 8.1 is pre-installed on the UMIDIGI Z2/Z2 Pro. It remains to be seen how much UMIDIGI adapts the operating system. Unfortunately, this was the biggest point of criticism with the UMIDIGI S2 Pro, because the software slowed down the whole smartphone a bit. The UMIDIG Z2 Pro is equipped with an NFC module and wireless charging. Apart from that, everything is as we expect it to be. Fortunately, LTE is on board, as are 802.11 a/b/g/n WiFi, GPS, GLONASS and Bluetooth 4.0. The ports include a USB Type C port and a dual SIM slot for two nano-SIM cards. Yeah, UMIDIGI’s already taken the rap for some of you. But the UMIDIGI Z2/Z2 Pro simply looks too exciting to be left out. The S2 Pro did not convince us either and now we are wondering how UMIDIGI is shaping this generation. The UMIDIGI Z2 Pro simply interests us a little more than the Z2, which in this form is the current standard, precisely because of the new processor and the Qi-charging capability. Would you give UMIDIGI another chance?